These guys are amazing. No exaggeration. The first team to manage to handle our deaf cat for a full examination, for one! (She has defeated vets before, she’s got lightning paws and steely determination) They are thorough, friendly, highly skilled and don’t try to up-sell you a hundred supplementary products. We’ve been coming here for nearly 4 years now and we’ll never take our two feline girls anywhere else. Thank you, MVAH crew! 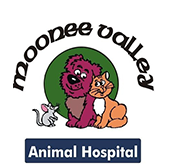 We got our gorgeous cavoodle Teddy 6 months ago and Moonee Valley Animal Hospital have been there every step of the way! From his immunizations, general check-ups, puppy school and today for his desexing. We were a little nervous about putting our little boy through an operation but all the staff took such good care of him and knowing that put us at ease! All the staff are absolutely amazing and so helpful with all of our questions! They treat Teddy like a VIP and he absolutely loves all the attention! We wouldn’t trust anyone else to look after the most important member of our family! thanks so much guys!!! Honestly cannot recommend highly enough. All the staff there are lovely to talk to. I’ve been taking my pets here since I was a little kid and have never had a bad experience with them. Over the years they have taken exceptional care of my dog, cat and guniea pigs. Just recently got a new puppy and the amount of support and genuine care for both animals and people is amazing. We got a whole information package about my puppy’s nutritional and training needs. I will never go anywhere else to take care of my pets!